Diageo has announced the launch of a new non-age statement Travel Retail exclusive expression, from its multi-award winning Isle of Skye distillery, Talisker. Talisker Neist Point (45.8% ABV) is the latest creation from the distillery’s Malt Master, Craig Wilson, and is said to showcase a wider range of Talisker characteristics rather than any single aspect of the whisky. Named after the most westerly headland on the Isle of Skye, Talisker Neist Point, has been crafted with a number of whiskies that were specifically chosen for their flavour, along with some of Talisker’s rarest and smoothest mature stocks. This latest release is said to deliver notes of freshly baked sourdough bread, ripe red fruits, honey, creamy toffee, peat, wood smoke and sulphurous spent match on the nose, followed by notes of home-made potato chips cooked in beef dripping, South American chocolate laced with chilli, redcurrants, tannins and tarragon on the palate. 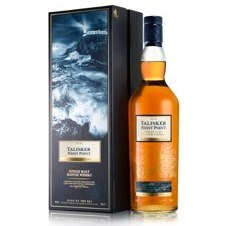 Talisker Neist Point, will be available later this month through Travel Retail, for a RRP of £115.00.